Whatever happens in the middle of the market — to be filled by what Boeing calls the NMA and everyone else calls the 797, and by Airbus’ A321neo and intended offer of the A330-800neo — premium classes of travel continue to evolve. 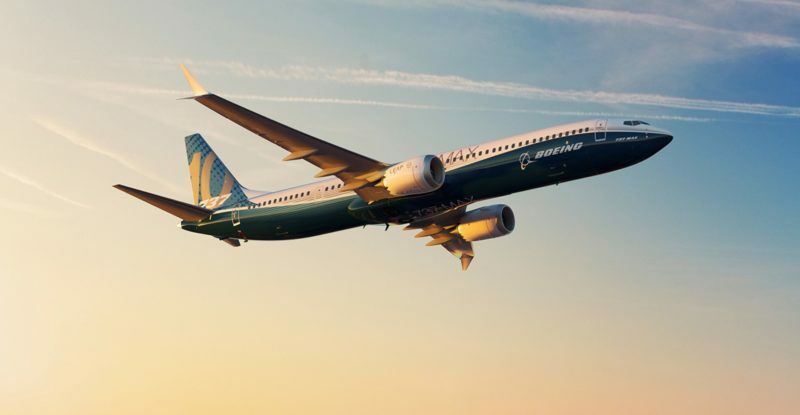 In the near term, the success of the double-stretched Boeing 737 MAX 10 aircraft at the Paris Air Show means that the industry is clearly considering a step change in narrowbody comfort, at least in the pointy end. But what are the options that already exist, and what might that step change look like? Let’s imagine that we’re dealing with a Boeing 737 MAX 10 aircraft, or indeed Airbus’ much-mooted but frequently denied A322 stretch: 43.8m for the MAX 10, 45.5m for the A321neo, and perhaps another metre of stretch for the A322. Up front, the key question is whether to go direct aisle access or not. 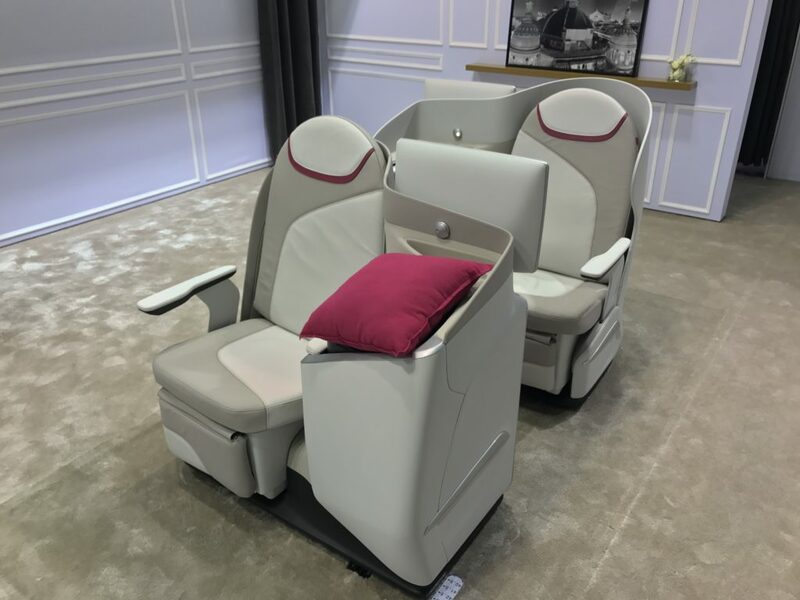 Malaysia Airlines CEO Peter Bellew told me at the Paris Air Show that he’s working with Northern Ireland-based seatmaker Thompson to create — and of course certify — a new seat for the MAX family of aircraft, which will have direct aisle access. There are arguments both for direct aisle access and for eschewing it on aircraft like this. For a start, the 3215nm range of a 737 MAX 10 will only just about make a flight time around that of New York to London a possibility. That’s an eastbound flight of just under seven hours, as a general rule, with westbound trips taking seven hours forty minutes on average, according to Google Flights. Direct aisle access is certainly welcome on flights of this kind of duration. Indeed, there’s an argument to be made that it makes more sense to prioritise direct aisle access over other aspects of the passenger experience on a shorter red-eye flight like JFK-LHR, when the impact of being woken up by a seatmate, or being thrown into full wakefulness by having to clamber over the person next to you, might make the difference between a good night’s sleep and insomnia. 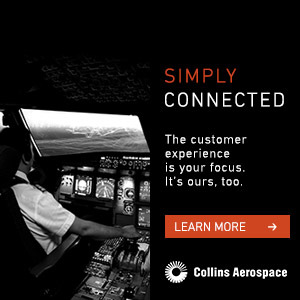 That said, our notional airline will need to consider whether the density tradeoff of a direct aisle access seat compared with the current transatlantic narrowbody favourite, the pairs of Rockwell Collins Interiors Systems Diamond seats in their slightly angled 2-2 layout, or the other current midhaul option, Thompson’s Vantage staggered seat in its staggered 1-2, 2-1 layout is worth it. Part of that decision will be precisely how much of aircraft’s flying will be on that kind of long westbound daytime, short eastbound redeye flying. A carrier with focus on the US northeast, for example, ought to be able to get very good economics out of a fleet of this kind of jet flying transatlantically, on transcontinental routes, and on premium-heavy shorter markets that help with twenty-four-hour utilisation. But the fact remains that some of those flights will involve under-utilisation of the longer-haul-focussed seats. In the middle of the plane, it feels like there’s a real opportunity for narrowbody premium economy to offer recliner seats in a 2-2 layout, rather like a watered-down version of British Airways’ OpenSkies subsidiary’s Prem Plus seats, which are more oldschool 1990s business class cradle sleeper than recliner on their 757 aircraft. 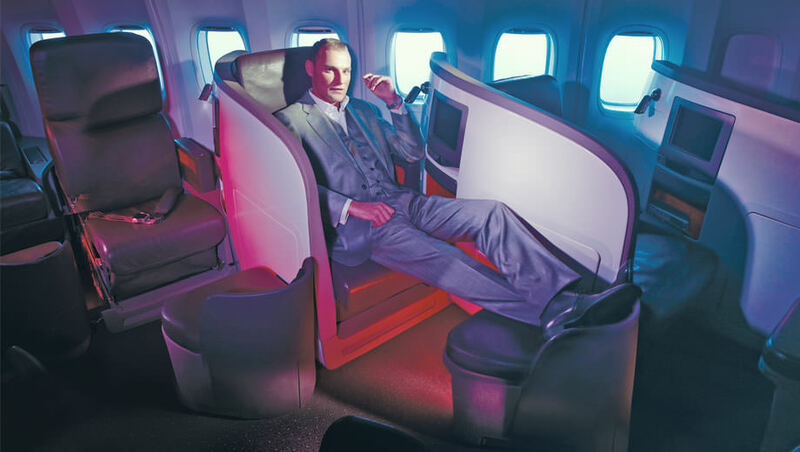 A modern space-saving premium economy seat pitched at 36-38” would be a big upgrade over a 30-31” economy option in a 3-3 configuration, and there is clear blue water running down the “comfort canyon” between the increasingly spacious business class that is trending and premium economy recliners. Down the back, too, there’s an option for extra-legroom economy for those carriers that offer it, and even for carriers that don’t have an Economy Plus or Main Cabin Extra kind of offering to consider whether they can get mileage out of a more premium economy class configuration. Will more aircraft see new innovations like Thompson’s planned seat? Or will whatever replaces the 757 in scale look much like it inside? I presume the Malaysia CEO is referring to the new “VantageSolo” product which Thompson is showcasing in their online product catalogue.